Wycombe Wanderers and Northampton Town have been fined £1,000 each by the Football Association after a scuffle at the end of their 1-1 draw on 4 October. Both sides admitted a charge of failure to ensure their players behaved in an orderly manner in the League Two game. 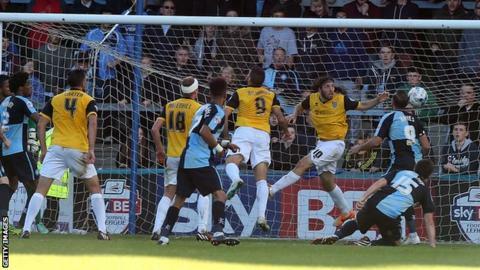 Aaron Holloway headed in a late Wycombe equaliser at Adams Park, which led to tempers flaring among the players. Referee Patrick Miller showed three yellow cards to the Chairboys and one to Northampton following the incident.